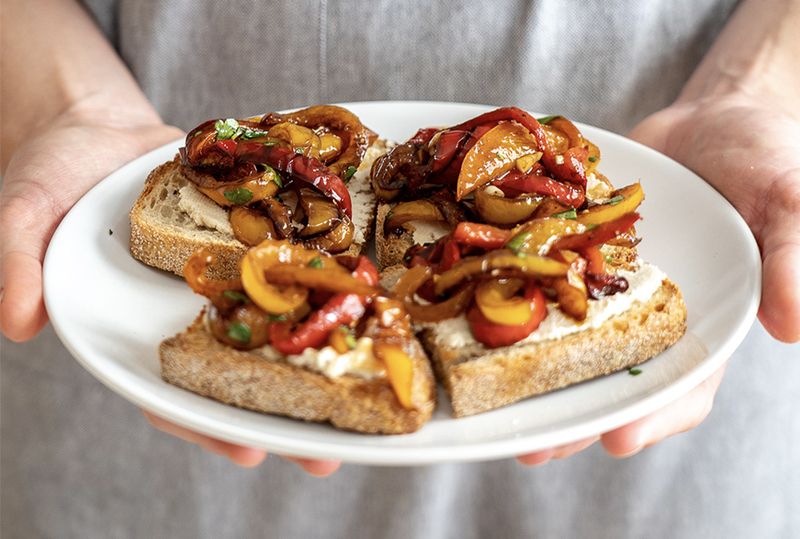 Bruschetta Recipes to Delight your Taste Buds! We are a tad obsessed with our Mad Millie Sourdough Kit, this week we have been dabbling with the recipe’s and every time we make it, we’re pleasantly surprised. Tangy sourdough flavour combined with a crispy firm crunch as you break through the crust. I am an absolute sucker for fresh bread so will admit to never having waited for it to cool. After sitting smelling it throughout the baking step, a warm loaf on the chopping board is too irresistible; especially when slathered with quickly melting butter. The experimentation has continued with our recipes for your pre-Christmas festivities. Whether you prefer savoury or sweet, we’ve got you covered. To really get the sourdough tang, make sure you leave enough time to allow a 48-hour rise for the dough. It’s absolutely worth it! Bruschetta Recipes to delight your taste buds! These are the perfect appetisers for Christmas day or other festive celebrations. Preheat oven to 200oC on grill. Cut the sourdough into small portions and lay on a baking tray, grill lightly on each side (or to your liking). Remove them from the oven and put aside on a wire rack to cool without getting soggy. 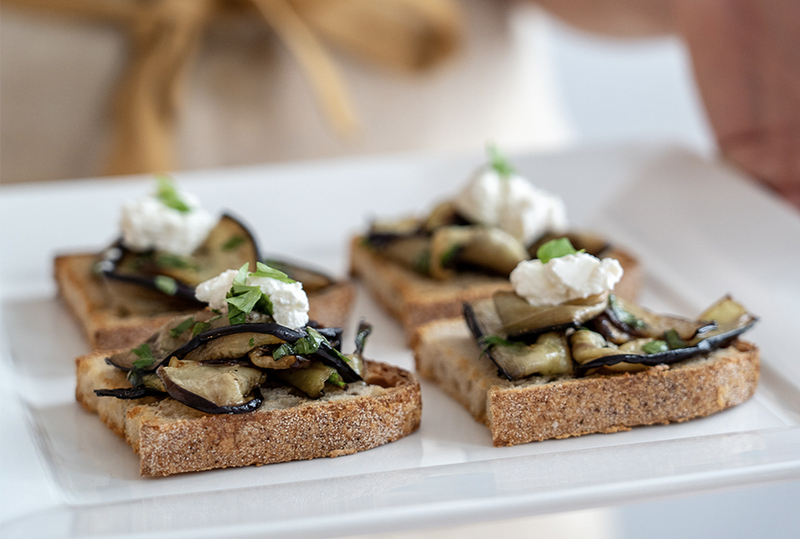 Lay the aubergine slices on baking paper and put them into the oven on the tray, be sure to keep a close eye on them. Grill on each side until they are soft and slightly brown. 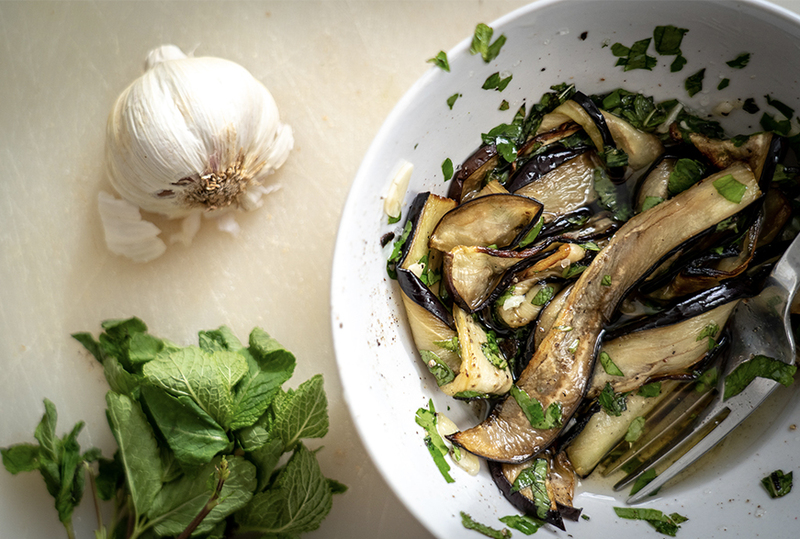 While the aubergines are grilling, combine 8 tablespoons of olive oil with the parsley, mint and garlic, into a bowl and season with salt and pepper. When the aubergines are all cooked, add them to the dressing and mix around. Check the seasoning before dividing on to the bruschetta. 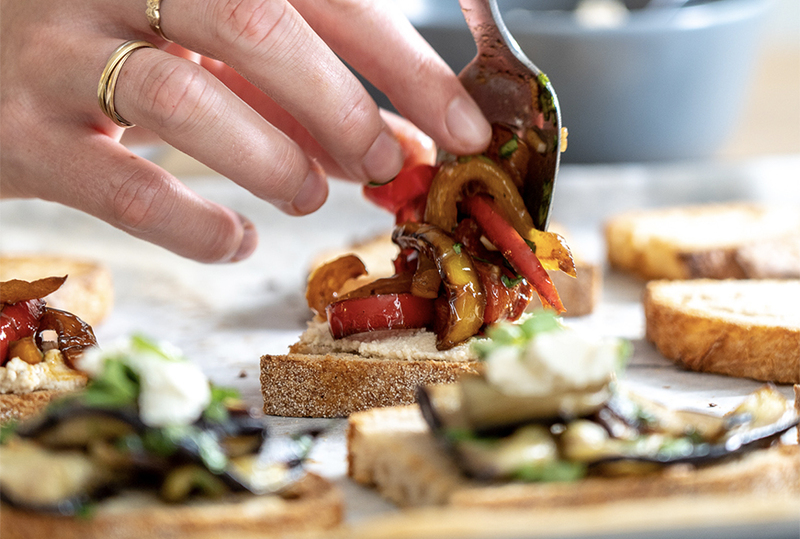 Make sure you get all the delicious flavours in the mixture by pushing the aubergine down onto your toasted sourdough so it absorbs the goodness. Heat the olive oil in a pan, once hot, add capsicum and cook until tender. Don’t worry about any browned bits from cooking, they just add to the flavour! Once cooled, place into a bowl and add balsamic vinegar, garlic, parsley, salt and pepper. Stir well to combine. Spread Mad Millie Vegan Cream Cheese thickly onto the toasted sourdough before piling up capsicum deliciousness. Enjoy! 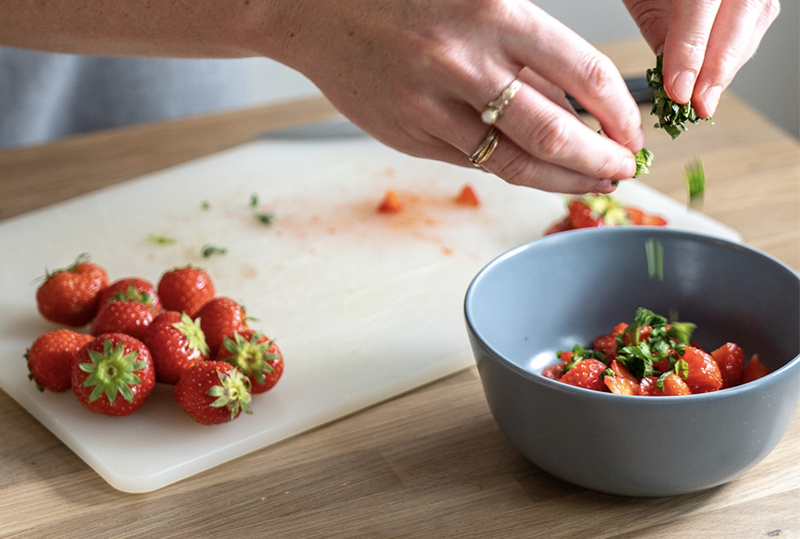 Combine the strawberries, mint and balsamic vinegar in a bowl and lightly toss to infuse the flavours. 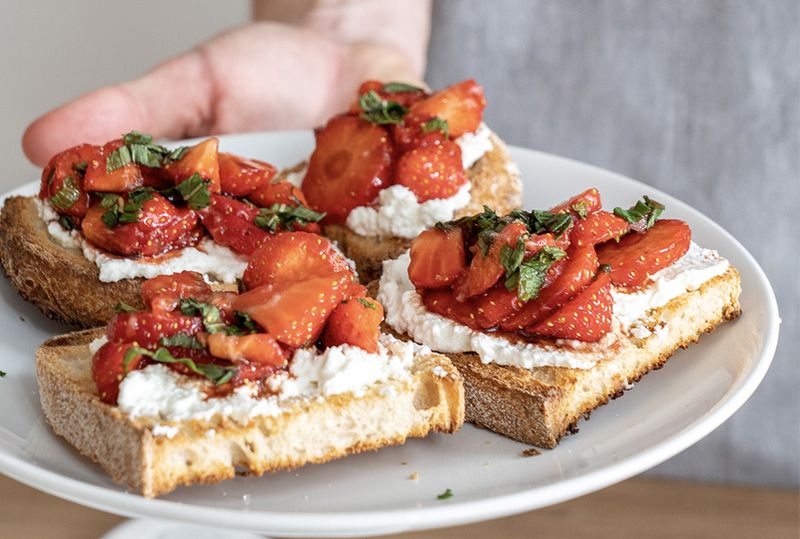 Thickly spread the ricotta over the toasted sourdough, gently place small spoonful’s of the strawberry mixture onto the bruschetta and lightly drizzle with honey for a sweeter version.